Before I really get going with my The Hobbit: An Unexpected Journey rant, I would like to say that I am well aware that filmmakers are usually forced to change things when they adapt novels for the silver screen. There are various factors that contribute to this — filmability, a desire for more action, updating technology for a modern age, keeping the story to a desirable length. And so forth. Nevertheless, sometimes filmmakers change things for no apparent good reason. Peter Jackson is obsessed with unnecessarily long fight scenes, many of which are not in Tolkien’s books. I think he doesn’t know how to do adventure stories, quite frankly. But that’s not this rant. That I can sort of live with — although I shudder at scenes of dwarves in barrels battling elves and unnecessary Legolas derring-do in trailers for December’s film. This rant runs deeper, to the very fabric of Tolkien’s stories and how he reweaves it into something else. At a few points in the first Hobbit film, events that were entirely random or by chance in the novel are given agency. For example, as they cross the Misty Mountains, they are manipulated by the goblins to take refuge in their cave. However, in the novel, they choose the goblin cave entirely by chance. The first time I noticed Peter Jackson doing this sort of thing — taking Tolkien’s chance events and giving them an agent — was in The Fellowship of the Ring. There, everyone of the Fellowship and their companies arrive at Elrond’s for a council because Elrond has called them there. In the book, they all arrive at about the same time by chance, all for seemingly unrelated purposes that turn out to converge on the Ring. Jackson has removed what appear to be chance events from the narrative. But, you see, they aren’t chance events at all. First, we could take the line that Tolkien was a devout Roman Catholic, and Catholic theology will tell you that God is in control and invisibly manipulating events to his own ends. In this direction, Tolkien’s Catholicism is silently shaping the stories, especially in the case of The Fellowship of the Ring where one senses that an unseen mover was at work (Illuvatar, anyone?). Thus, by making a visible character the agent who makes things transpire, Peter Jackson has changed the quiet theology that actually underpins Tolkien’s whole work — a theology that would make one think that Sauron was destined for defeat. The other line is tied into Tolkien’s life as a mediaevalist and Germanic philologist (as I’ve observed in my series on Beowulf and The Hobbit). As an Oxford professor, J. R. R. Tolkien primarily researched and taught Old English and Old Norse; he even composed verse in Old English, besides modern English verse in Old English metres. One of the powerful threads running through much Old English and Old Norse literature is the sense of fate, almost of what we might today think of as fatalism — but perhaps more properly destiny? Fatalism would be an anachronistic term to the northern Germanic peoples whose literature is under discussion. Fate is inflexible. This also governs the Icelandic sagas, where people do what they must do — give up a seat in the boat home, kill an ox, burn down an enemy’s house. Not because they wish to. Because they must. It is their destiny. Literature, narrative burdened and underpinned by destiny has a very different weight and feel to it from the submonotheistic literature of the everyday that looks at stars and sees only what they are made of, not what they are (to borrow from Tolkien’s colleague, C S Lewis, The Voyage of the Dawn Treader) — the sort of narrative Peter Jackson crafts for us. Jackson has removed destiny from Tolkien’s stories, he has removed an important part of the essence of the tales. Rather than being about people driven by circumstances beyond their control, someone, somewhere makes everything happen. And that diminishes them. Beowulf and The Hobbit — linking you to the final part of the series since it links you to the rest of them. *Gist of other rant: By making characters who were originally offstage players in a worldwide arena onscreen players with the main action, the scope of Tolkien’s story is greatly diminished, as when Elves go to Helm’s Deep who should have been fighting evil elsewhere with Celeborn. 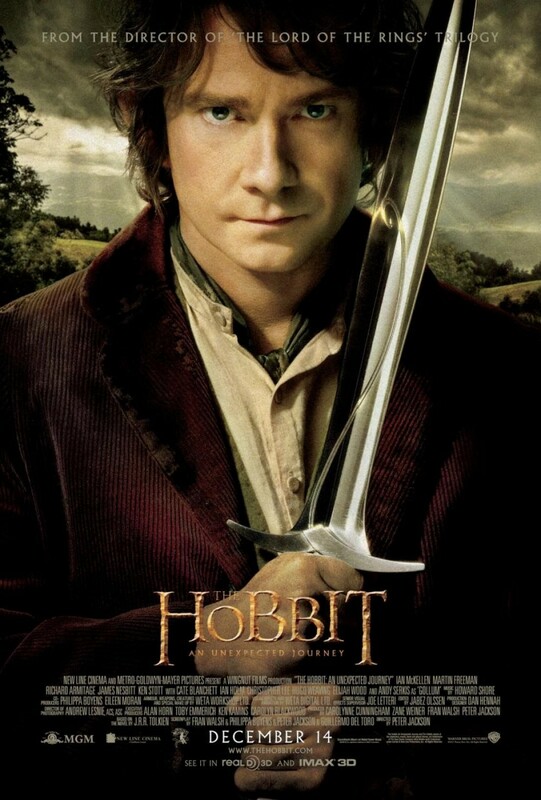 This entry was posted in Books, Christianity, Indignation, Literature, Mediaeval, Movies, Science Fiction and Fantasy and tagged destiny, fatalism, hobbit movies, icelandic sagas, j r r tolkien, peter jackson, the anglo-saxon world, the hobbit, the wanderer on November 23, 2013 by MJH. There’s an episode of Frasier wherein Frasier and Niles go out for dinner at a restaurant where everything is almost perfect — except for one, small detail (I forget which) that they can nitpick. Daphne says, ‘Ah, just the way you like it.’ Sometimes documentaries can be that way, especially when the interviewees include, amongst some very good scholars, ordinary people. I just watched a very interesting documentary by Dr Janina Ramirez called The Viking Sagas (you may recall my blogging about another of her Viking docs before). It is about the culture of Iceland where the sagas were born and mostly follows the Laxdaela Saga to tell us more. A couple of things niggled me — one being the typical, ‘Nice cuddly pagans who are close to nature vs. institutionalised Christians from abroad’ sort of thing that ignores nuance in both belief systems (and, in this case, the origins and history of the term pagan). We’ll put that to the side, though. At one point, one of the Icelanders interviewed — I missed reading whether he was an actual scholar or simply an Icelandic storyteller/writer — said that the thing that makes the sagas different from the rest of European literature at the time is that the rest of Europe is telling very ‘Christian’ stories, where good things happen to good people and bad things happen to bad people. In the sagas, on the other hand, a guy can do some terrible stuff, be a real a-hole, and prosper in the end. He’s right about the sagas, and I would (mostly) grant the point he is trying to make, which is that the Icelandic sagas have a level/form of verisimilitude not always apparent in other mediaeval European literature. However, to typify said literature as ‘good things for the good’-style literature which is, almost inevitably, Christian, is to miss out on what’s going on in a lot of that literature and, in some cases, its classical antecedents. First, ‘good things for the good’ as typical mediaeval literature. Is this a fair assessment of more southerly European literature in the Central and High Middle Ages? (Recalling that sagas were usually written down in the 1200s, even if they may reflect history of the 800s and 900s.) Certainly, sometimes. Percival finds the Grail, for example. In the much earlier Beowulf (ca. 800? ), the title hero kills Grendel, Grendel’s Mom, and a dragon (but still gets killed in the end). But wait. Isn’t there more to Beowulf? Yes! Beowulf’s ‘success’ (‘good things for the good’) is inversely proportionate to his level of reliance on external aid — perhaps the ‘Christian’ story here is to rely on god-given abilities, not things of the world. Yet in the originally-titled Alliterative Morte Arthur, Gawain, best of knights, dies almost at the beginning of the climactic battle. Sigfried is slaughtered in The Nibelungenlied, as we have seen, and, as we have also seen, a lot of ‘good men’ are needlessly butchered in the second half. Bad things can happen to good men. What about good things happening to bad men? Ramirez’s Icelander may have me there; mind you, don’t you sometimes think that King Mark of Cornwall ultimately gets what he wants? And, really, Mordred vs. Arthur doesn’t really end up good for anyone, but Mordred’s penultimate prosperity is better for him than Arthur, isn’t it? I’m sure there’s a lay or two of Marie de France where the ‘bad guy’ (aka jealous husband) wins. I’d have to have read a lot more to make a better case, I admit. But these are what come to mind. Second, ‘good things for the good’ as typically Christian. This idea is not peculiar to Christianity and is, in fact, denied by the theologian who lies at the centre of western mediaeval Christian thought, Augustine of Hippo, in his massive City of God. 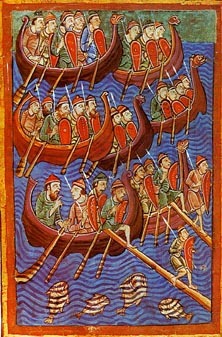 We cannot leave it there, though, for we must admit that his contemporary Orosius believed in it, and the Anglo-Saxon Chronicle certainly believed that bad things (such as the French) were visited upon the English for their sins. So there is a stream of Christian thought that affirms this teaching, even if Augustine or John Cassian or Jesus (it rains on the just and the unjust alike) denies it. But Graeco-Roman pagans seemed to agree with it, too. The evil of abandoning the old gods, they would say, has caused all of our troubles. The Christians to the lion! (What, all of them to one lion? asks Tertullian.) Odysseus constantly gets into trouble because his sailors do ‘bad’ things (that is, contravene the commands of the gods). One could go on. 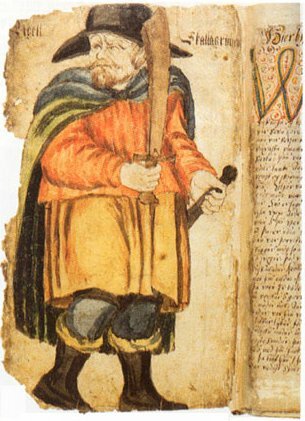 That said, there is something about the Icelandic sagas. There are somehow different. I like them. I also like classical literature alongside Beowulf, The Nibelungenlied, and Arthurian romances. Go and try a saga or two. There’s a handy, affordable collection by Oxford World’s Classics called Eirik the Red and Other Icelandic Sagas. This entry was posted in Ancient World, Books, Christianity, Classics, History, Indignation, Literature, Mediaeval, Patristics, Philosophy, Television and tagged iceland, icelandic sagas, janina ramirez, medieval literature, middle ages, viking sagas, vikings on September 22, 2013 by MJH.